It’s all the power and data delivery you need, nothing you don’t. 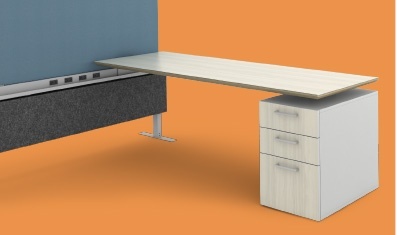 Desks and worksurfaces can run either parallel or perpendicular. 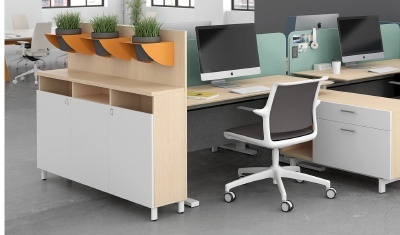 Worksurface support brackets eliminate the need for four legs – saving space and budget. The Bahn Recycle Center provides a centrally located, visually appealing home to keep trash and recycling out of sight. Pair with Bahn Lockers for added storage and end-of-run privacy. Check out the Bahn Rail gallery for configuration ideas, product pairings and inspiration. Never miss an update. Get news and insights direct from Watson, right to your inbox.